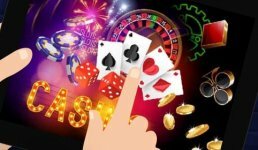 Top 10 tips for online gambling in 2018 ! Casino Veteran > Guides > Top 10 tips for online gambling in 2018 ! There is little doubt that online casinos have changed the entire gambling industry in recent years. Where players once had to physically travel to a land-based casino if they wanted to enjoy their favourite game, they now don’t even have to leave their front room. For any players who need a little help, the Casino Veteran has compiled his top 10 tips for online gambling triumph in 2018. He has gleaned these tips from his years of experience, and they can help any online player stay on the road to success. When it comes to online gambling, the range of games players can enjoy is immense. While this is great in one way, it can lead to players taking a scattergun approach to their play. Rather than haphazardly choosing lots of games at random each time they play, players should focus instead on a couple that they enjoy and then become skilled in playing them. Another superb feature of online gambling is the huge number of online casinos players can sign-up with. Rather than just creating an account with the first one they come across or that they have heard of, players should take time to fully research which casino to play at. Once players have signed up and received their welcome bonus, the free fun does not stop there. 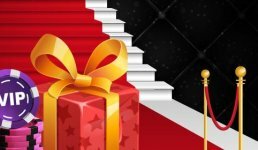 Players should remember to keep an eye out at their chosen casino for the ongoing promotions on offer or free stuff sent to them by the casino. 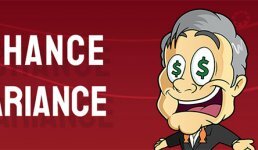 Free spins are a great example of this type of promotion. Whichever game(s) players choose, they should make sure to have a strategy in place to use when in play. 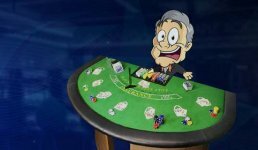 Obviously, having a strategy for table games is more applicable than for slot games, but you may still be able to research the return to player (RTP) of a slot, for example, to help give you an edge. It is worthwhile setting a strategy for table games. Sometimes players may have a bad day when luck is not with them, even with a solid strategy in place on the games they are playing. Players should set limits on how much they will deposit or risk each time they play – this approach will help to preserve their casino account balance and avoid any problems with their online gambling. One big mistake that players can make when gambling online is to make some money but then keep on playing. A great tip for any player is to quit while they’re ahead and get any winnings safely into their casino account. Online gambling means players can enjoy their favourite games whenever they like and whatever state they are in. Unfortunately, this ability also means that some players can make the mistake of playing after drinking alcoholic beverages. Players should not gamble even after drinking a little alcohol, as it will impair their judgement and lead to poor decision-making. For some players, the temptation is to play with large stakes to try for bigger winnings. The issue here is that they wipe out their casino bank balance before they even begin. For example, having fewer opportunities to play lowers their chances of hitting winning reels on a slot. Players should set the stake amount per spin or hand according to their overall budget. For example, if players have a £50 overall balance, they would be better off playing for £1 stakes rather than £10. To get a leg-up over the online casinos, players would be wise to get expert advice. This advice could be from a knowledgeable source, such as the Casino Veteran, or from elsewhere. By getting the wisdom of someone who has been there before, players will avoid making common mistakes and get the information they need to succeed. This may seem silly, but the prime concern should always be to have fun when gambling online. If players ever feel depressed or think it’s not worth playing, it is time to stop. Players who feel like this should log off and come back another day when they are ready to enjoy playing at an online casino once more. Online gambling is a leisure activity enjoyed by millions across the world. By keeping the above tips in mind, players can not only enjoy the experience but also hopefully win some money. Keep an eye on Casino Veteran for all the latest news and tips on online gambling.